The Mission: ABC Packaging wanted to test new packaging for one of their products. ABC Packaging wanted to better understand the effectiveness and appeal of their new product packaging among their target market, 18-25 year old males. The Process: ABC Packaging decided that Focus Groups would best help them evaluate their new packaging. Observation Baltimore has been serving the market research industry for two decades and is rated “One of the World’s Best,” by Impulse Survey. Observation Baltimore’s competent recruiters filled ABC Packaging’s focus groups with quality respondents in the company’s target market, fitting their specific requirements. 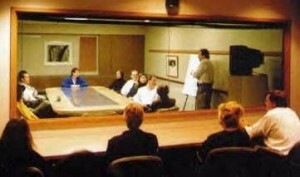 Observation Baltimore features state-of-the-art, spacious, and comfortable focus group suites. Baltimore is the perfect market to conduct research. It is a microcosm of American culture! Not only does Baltimore have a diverse consumer population residing in the 5 counties surrounding the city, but Baltimore is also rich with economic growth and charmed with history. The Benefits: ABC Packaging used the information and insights they gained during their focus groups to alter their packaging to better meet the needs and desires of their target audience. The Solution: ABC Packaging was able to pinpoint the most important design features of the different packaging options they were testing. This provided the company with a much deeper understanding of the wants and needs of their customers and allowed ABC Packaging to design a plan to create and implement more effective packaging in the future. Observation Baltimore even offered to ship all of the materials from the focus groups back to California so that they didn’t have to cart them home with them. And when ABC Packaging arrived back in California, their shipment was already waiting for them. ABC Packaging is sure to be back soon! To learn more about Focus Groups, please contact the market research specialists at Observation Baltimore today by calling 410-332-0400 or click here! And if you are interested in participating in a future focus group, sign up at www.observationbaltimore/getpaid. This entry was posted on Thursday, June 28th, 2012 at 6:39 pm. Both comments and pings are currently closed.